Introducing moon phase blue patina! 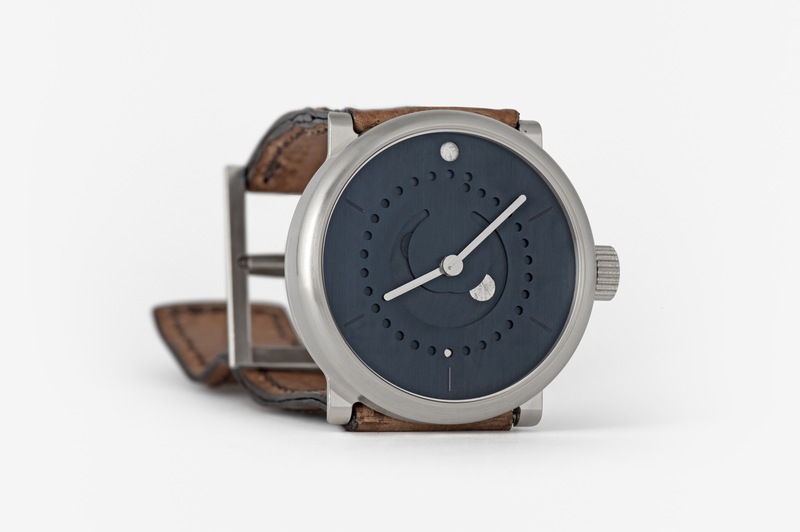 moon phase blue patina is a new pure metal execution of Ludwig Oechslin’s moon phase watch. Its blue, blue-black and gray hues are not the result of added color. 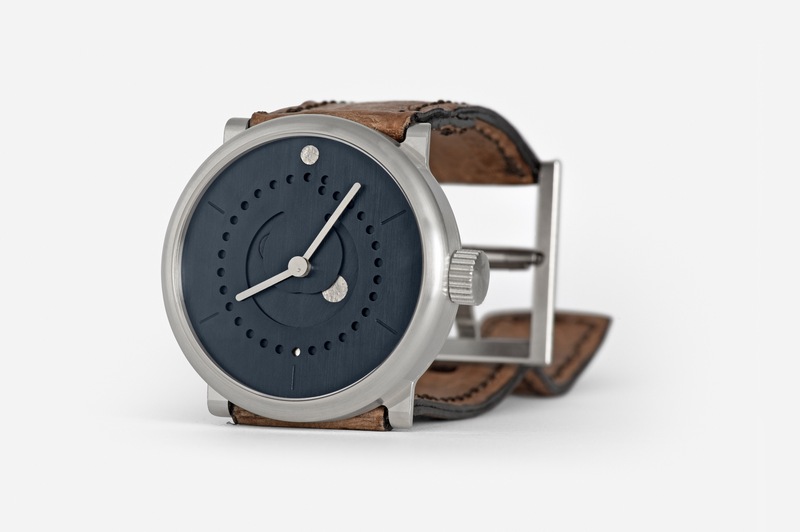 They come from a controlled chemical process for oxidizing brass, which ochs und junior developed specifically for its watch parts. 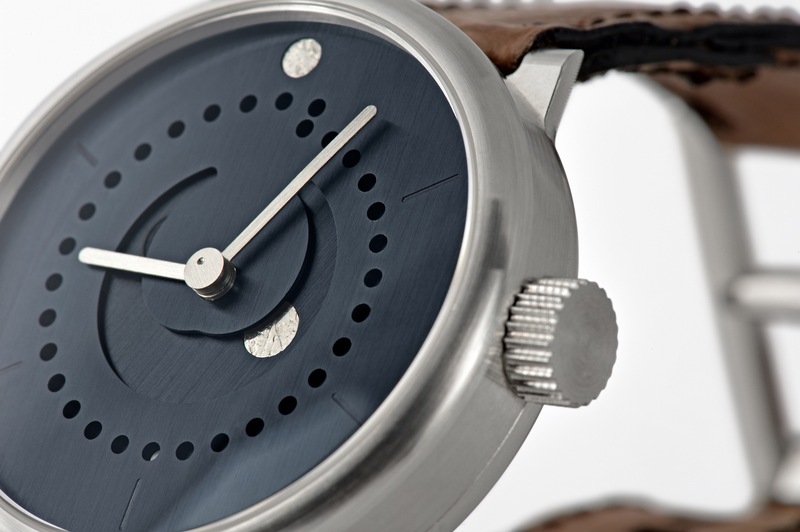 Patination is a technique for dial contrast used by Ludwig Oechslin since the first ochs und junior prototypes in 2006 (the story of patination at ochs und junior). 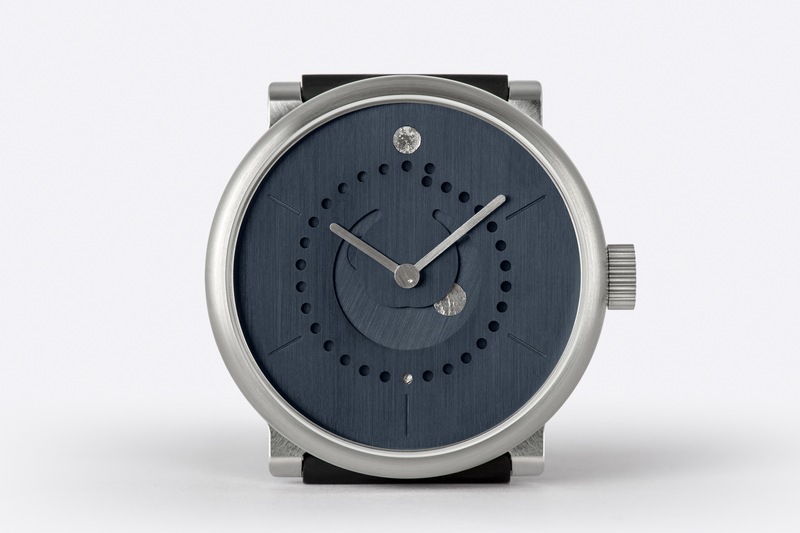 Each moon phase blue patina watch is hand-patinated, hand-assembled, and hand-regulated by ochs und junior watchmaker Sandra Flück at the ochs und junior workshop in Lucerne (the ochs und junior workshop). Sterling silver 925 and platinum PT950. Oechslin thinks a silver case that tells a story is more interesting. 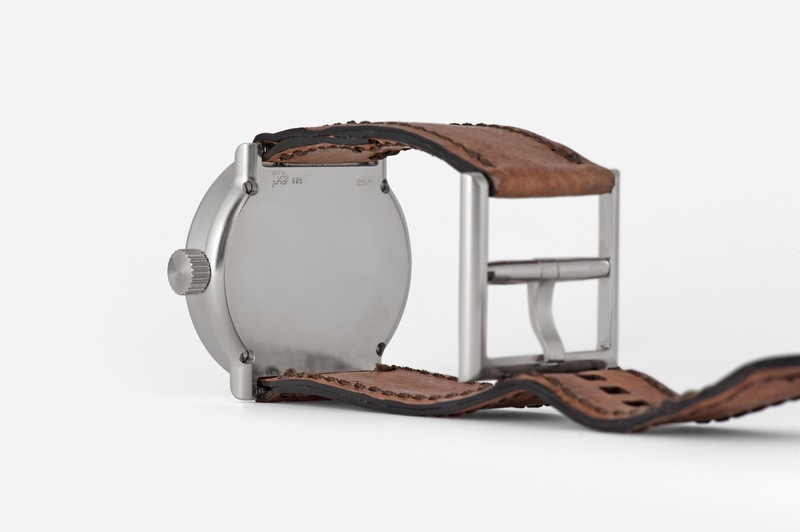 The 39mm case, crown and buckle are machined in Switzerland out of solid blocks of sterling silver 925, a soft metal selected by Oechslin for the way it patinates through wear and records marks of life from its owner (the use of silver at ochs und junior). Visible machining marks proudly showcase the precision of the workmanship, the qualities of the raw material and the way each part was manufactured. 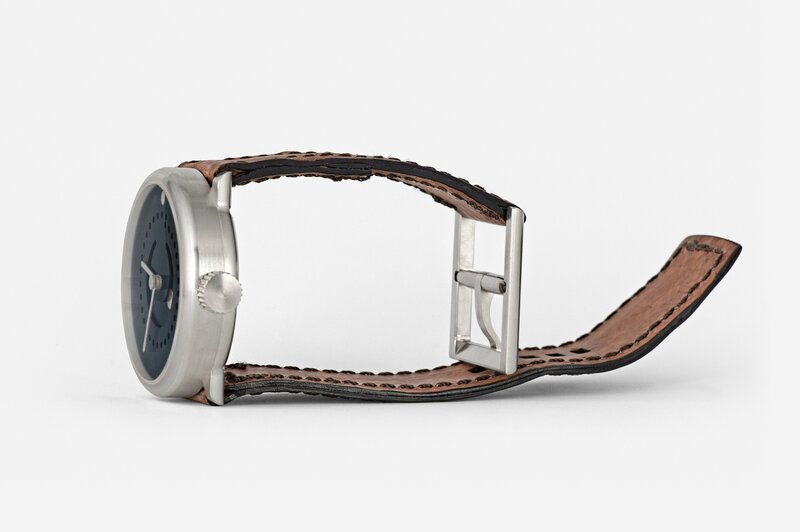 For brilliant reflection of light from every viewing angle, the full moon, sun at 12 o’clock, and date dot are executed in hammered platinum PT 950 while “the dark side of the moon” is in hammered, dark patinated sterling silver 925. 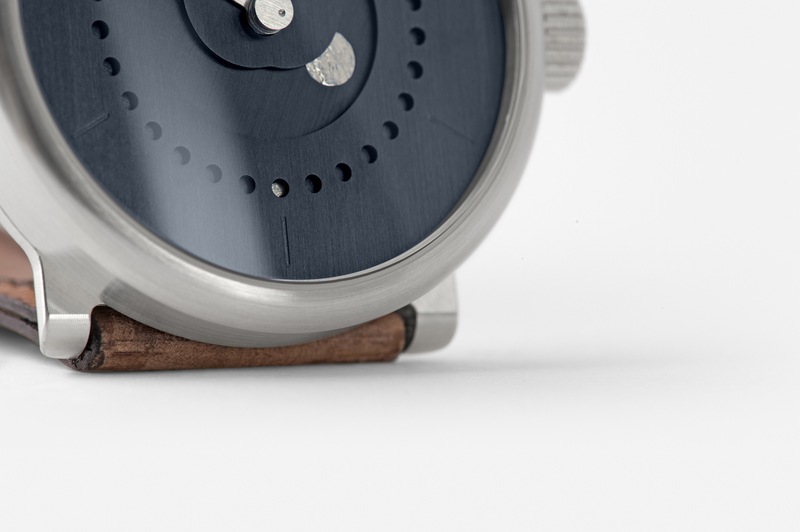 The hour hand, minute hand and excentric second dot are machined out of solid blocks of platinum PT950 to match the astronomical and date indications. 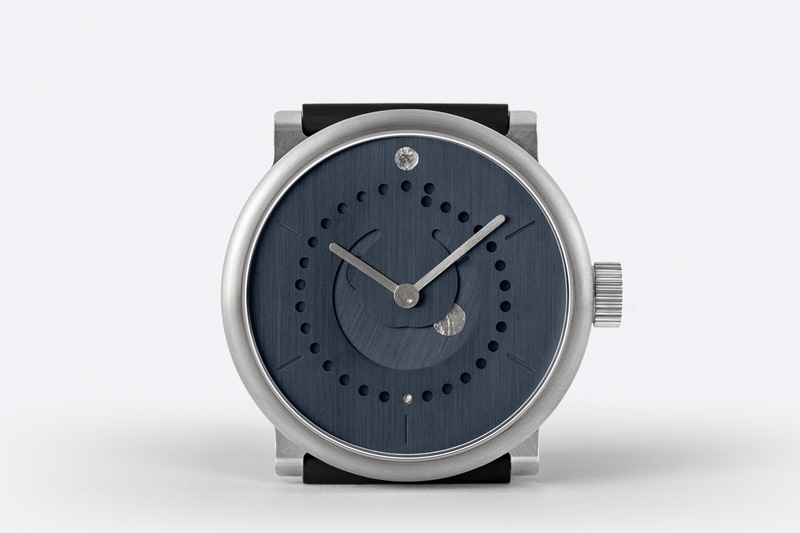 ochs und junior plans to manufacture about 5 moon phase blue patina watches in 2016 – out of a total of about 50 moon phase watches. CHF 12’100 — including 7.7% Swiss VAT. CHF 11’200 — export price excluding VAT. Available in 39mm or 42mm.